Called the '3G Home Zone', the new Optus femtocell device is a small base station that plugs into a wireless router and uses a fixed-line broadband Internet connection to boost mobile coverage. Once operational, the Optus femtocell device should typically provide full mobile coverage within a 30 metre range for up to four users at a time. As part of the 3G Home Zone package, Optus customers who purchase the device will be able to make unlimited standard national voice calls to fixed or mobile numbers for $5 a month within the Home Zone. However, only the allocated primary user of the device is eligible for the unlimited calls, and not every user that connects to the 3G Home Zone device. The 3G Home Zone can be used with any Internet provider, but Optus recommends that the device be connected to a broadband service with a minimum download speed of 1Mbps — if the speed is capped at 128kbps or lower, the device will no longer work. Optus says the 3G Home Zone has a typical data usage of around 1GB per month, though this is “highly variable” depending on the home situation, and the number of users connected to the service. 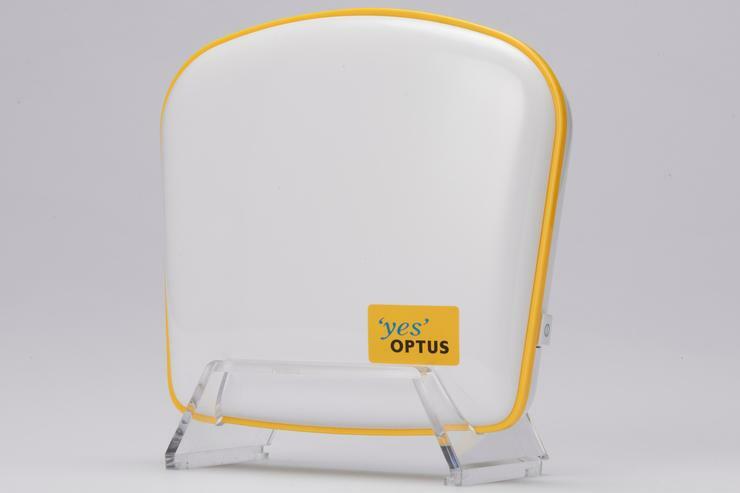 A single Optus 3G Home Zone device can connect four Optus devices (mobile phones and mobile broadband products) simultaneously, but up to 12 devices can be registered on the unit. Optus first trialled the service back in April with around 250 users in Sydney and Brisbane, but the official launch covers every capital city in Australia and "a few" regional towns. Optus says femtocell technology is particularly ideal for homes or small businesses in Australia that suffer from poor or non-existent 3G mobile coverage. The service promises up to five bars within 30 metres of most "standard constructed houses". Optus will sell the 3G Home Zone device from 31 July to customers on plans of $59 per month or higher for $5 a month. Consumers on plans of $49 per month or below will pay $15 per month for the device.